Teresa Langley joins NorthBay Healthcare as the new Oncology Service Line Director, overseeing medical and radiation oncology, breast oncology and support services. Teresa has more than 20 years of experience as a healthcare administrator. “Teresa is passionate about oncology and has dedicated her career to the field,” says Aimee Brewer, president of the Ambulatory Division of NorthBay Healthcare Group. Teresa started her journey as a radiation therapist before becoming the director of Radiation Oncology for St. Joseph Regional Medical Center. As her career progressed, she has held multiple, impressive leadership positions at Oklahoma University Medical Center, UC San Diego, GE Healthcare and, most recently, Porter Regional Healthcare System outside Chicago. 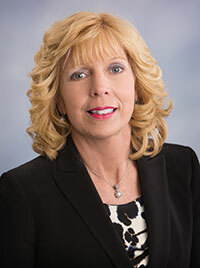 Her most recent position was serving as the oncology service line executive and Loyola University Medical Center liaison for Community Healthcare Systems in Valparaiso, Ind. Teresa holds a bachelor’s degree from the University of Louisville, Ky. She continues to maintain her licensure as a radiographer and radiation therapist.